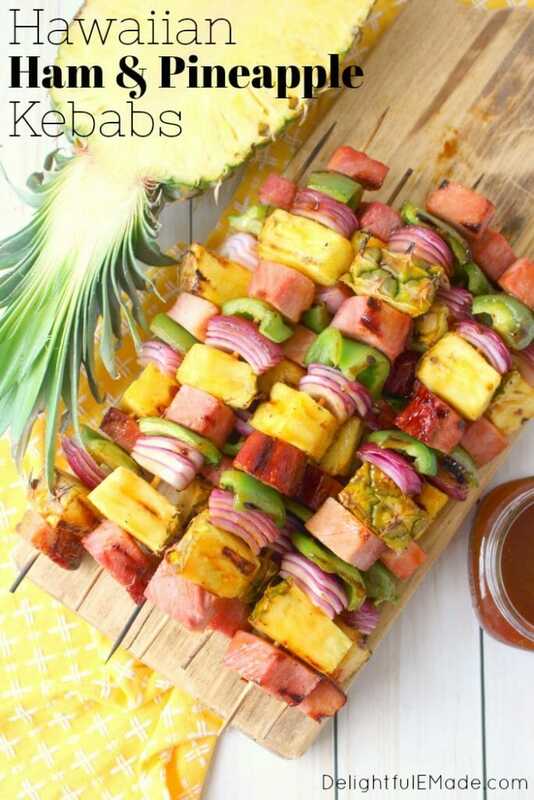 Get your cookout game on point with these incredible Hawaiian Ham & Pineapple Kebabs! 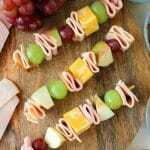 Made with savory, delicious ham, fresh pineapple and veggies, these simple ham skewers will be your new favorite summer grilling recipe! This post is sponsored by Sugardale Foods and SheKnows Media. As always, recipe, photos and opinions are 100% my own. Can you believe summer is nearly upon us? This is one of my favorite times of year. It’s the time when everyone slows down a bit and comes together. Schedules are a little less busy, and there’s extra time for going to the pool, the beach and getting together for cookouts and block parties. We are blessed to have some pretty fantastic neighbors. We try to always make it a point to get everyone together at least a few times over the summer to have a big block party, where we fire up the grill and cook up some amazing food. 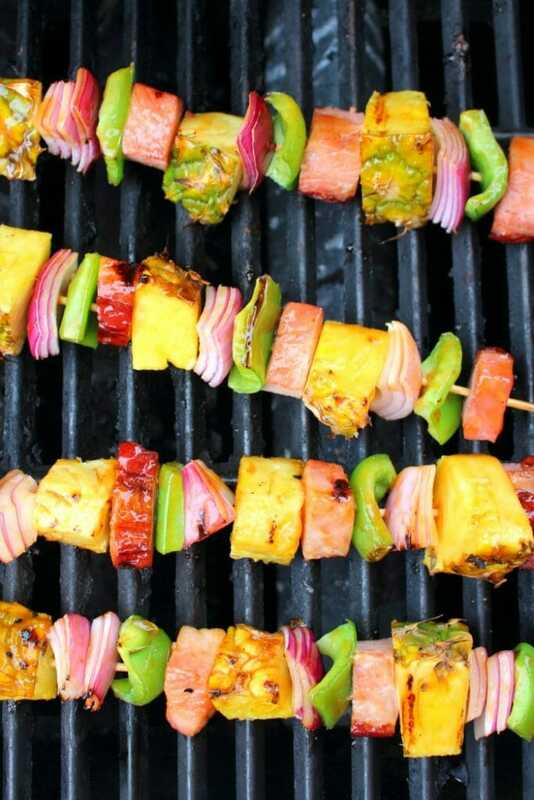 These Hawaiian Ham & Pineapple Kebabs will definitely be on the menu for our first big cookout of the season! 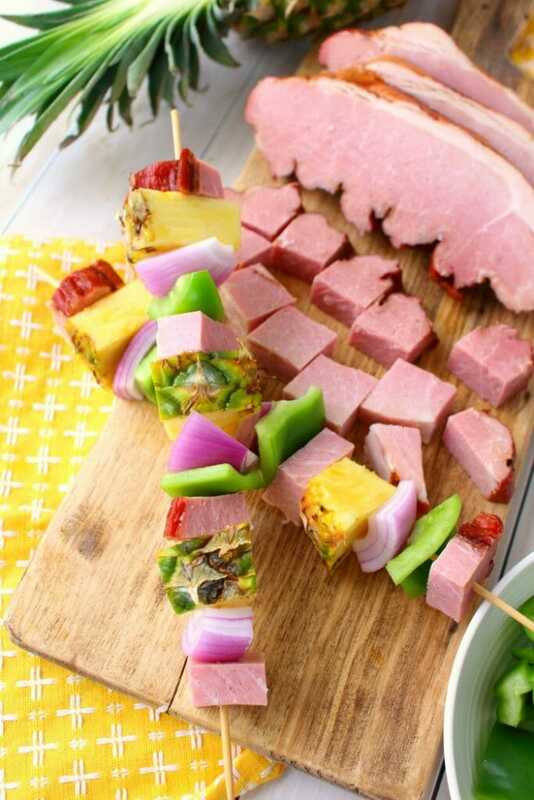 These Hawaiian Ham & Pineapple Kebabs are made with Sugardale Simple Carve Boneless Smoked Ham. 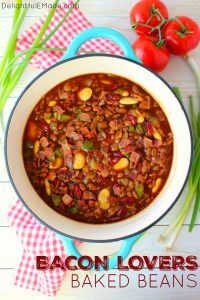 It’s the perfect cut of meat for cookout season, as it is pre-cooked (a huge time-saver!) 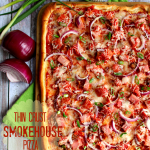 and has the perfect smokey flavor for grilling! 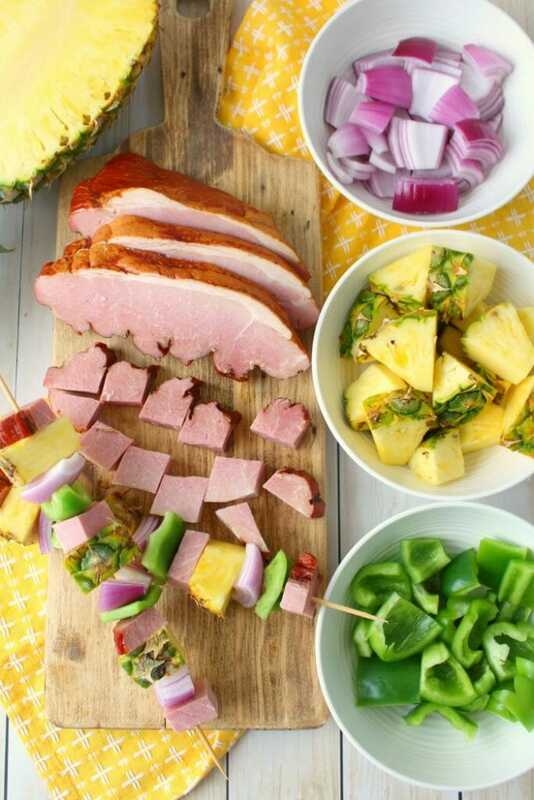 Making these Hawaiian Ham & Pineapple Kebabs are super simple and need just a bit of pre-party prep. 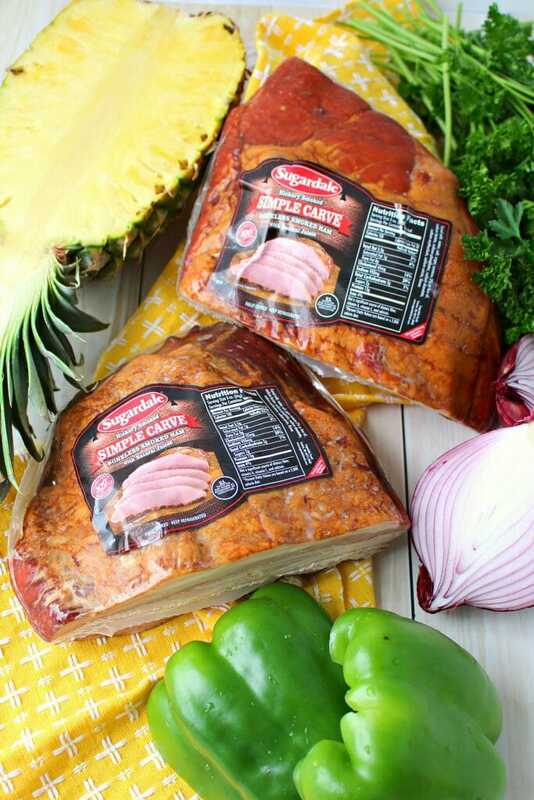 Start by first cubing the Sugardale Simple Carve Boneless Smoked Ham into 1″ cubes. I love the fact that this ham is not only pre-cooked, but is also boneless. It’s perfect for adding to salads, slicing for sandwiches and especially great for skewering and grilling! 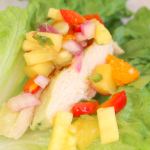 In addition to the ham, cut a green pepper, red onion and fresh pineapple into cubes as well. When skewering meat and vegetables to go on the grill, you have a couple different options. 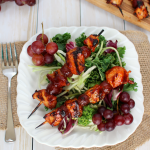 Wooden skewers (shown above) are great – they’re the perfect serving size and are disposable. They do require that you soak them in water prior to skewering, so they don’t burn on the grill. Your other skewer option is metal. Metal is also a great option as you don’t need to pre-soak and can be re-used over and over again. Most metal grilling skewers are on the larger side, so plan your portions accordingly. 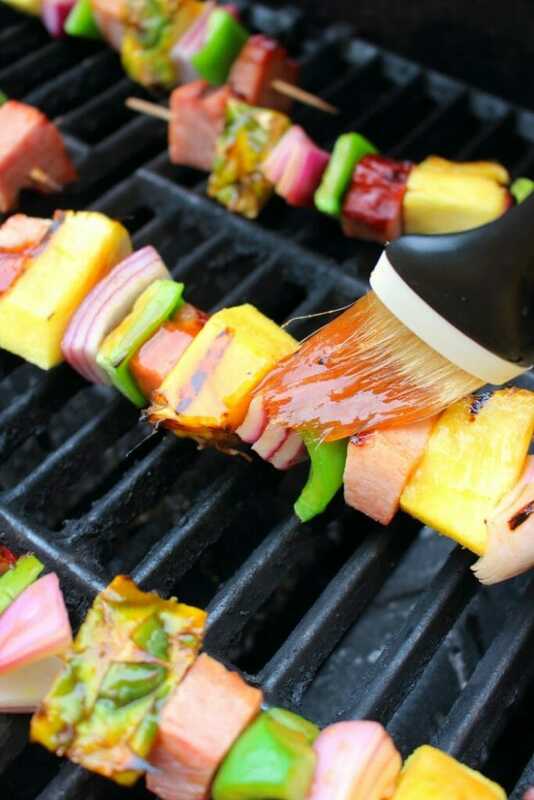 Skewer the ham, pineapple, and vegetables alternating to your choosing. This glaze is kinda incredible!! 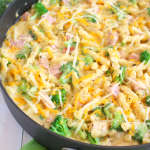 It’s the perfect sauce to compliment the smokey, savory ham and is fantastic with the pineapple and vegetables. 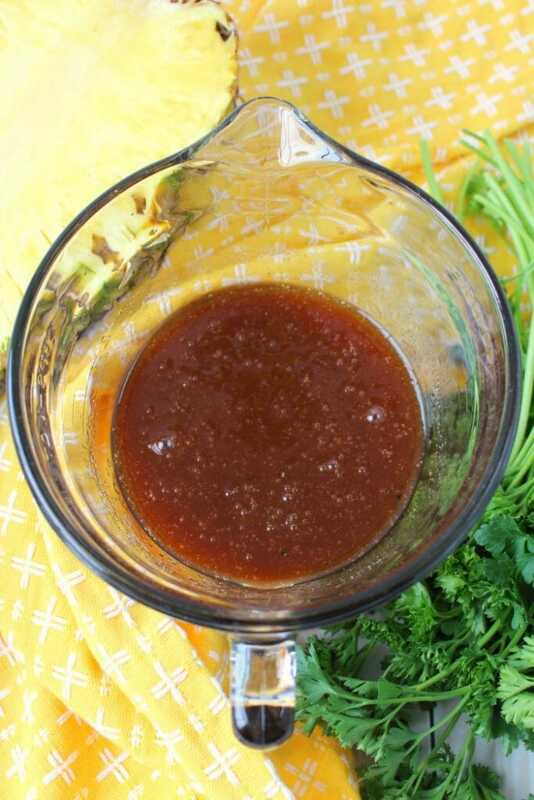 Simply whisk the glaze ingredients together (pineapple juice, brown sugar, ketchup, Worcestershire sauce, vinegar, hot sauce, garlic powder, and pepper) in a bowl. I easily mixed this sauce together while my grill was preheating. Place the skewers on the grill that has been heated to medium-high heat. Brush the kebabs with the glaze. Cook for approximately 4-6 minutes per side, turning twice. Brush the kebabs each time after turning. As the ham, pineapple and vegetables cook, they’ll have a slight char from the grill, this is when you know it’s time to turn. Everything will become wonderfully glazed and caramelized and take on a fantastic, sweet, smokey flavor. 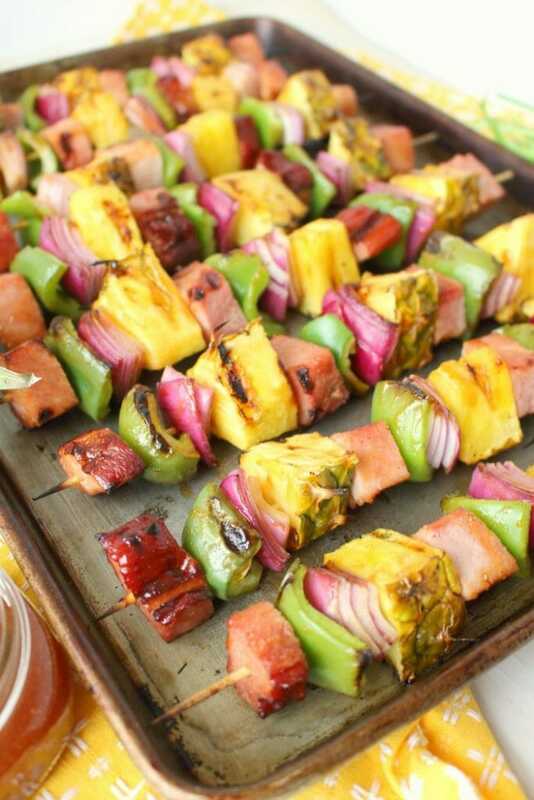 These kebabs would be perfect for a luau or Hawaiian-themed party. Make lots of these, and everyone will be coming in for seconds! 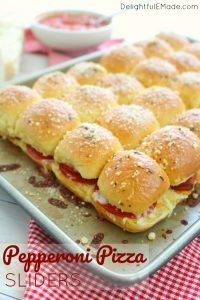 These are definitely kid-friendly as well – my son devoured two of these and was asking for more! Begin by cubing the ham into 1" pieces. 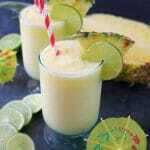 Cut the fresh pineapple into 1" chunks and cut the pepper and onion into 1" pieces. 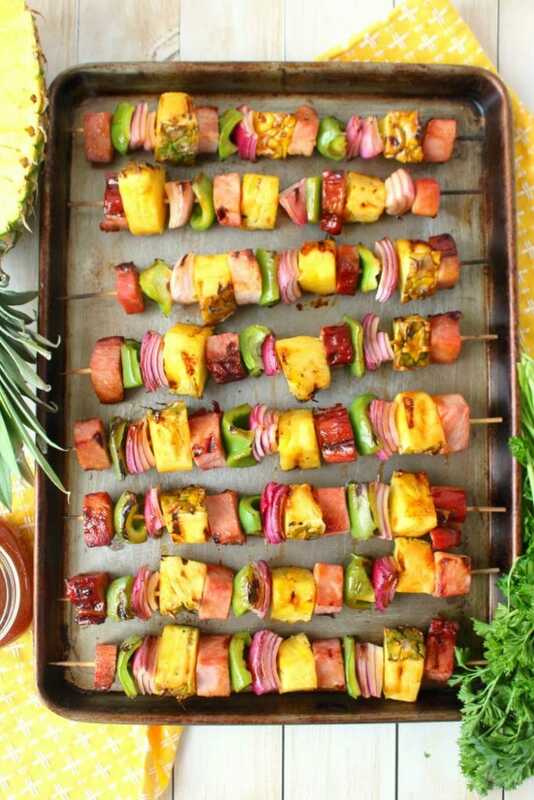 Skewer the ham, pineapple, pepper and onion on to pre-soaked, wooden skewers or metal skewers. In a bowl, whisk together the brown sugar, pineapple juice, ketchup, Worcestershire sauce, vinegar, hot sauce, garlic powder and pepper. Whisk together until brown sugar dissolves into the liquid. Glaze should be smooth. 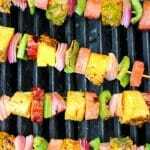 Place the kebabs on a grill that has been pre-heated to medium-high heat. Brush the kebabs with the glaze. Grill the kebabs for 4-6 minutes per side, turning them twice. After turning each time, brush the kebabs again with the glaze. After cooking, remove from the grill and serve right away while warm. You will have enough sauce for brushing the kebabs while they grill, and for serving on the side. These look amazing! Thanks so much for sharing at the Summer Time Fun linky party; Pinned. 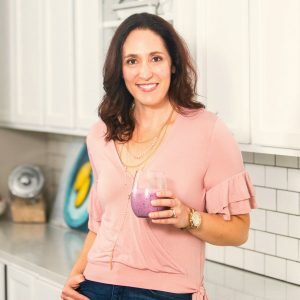 Stopping by to let you know that this post was picked as one of my featured favorites from the Summer Time Fun linky (It's also on our family menu for this weekend! ).